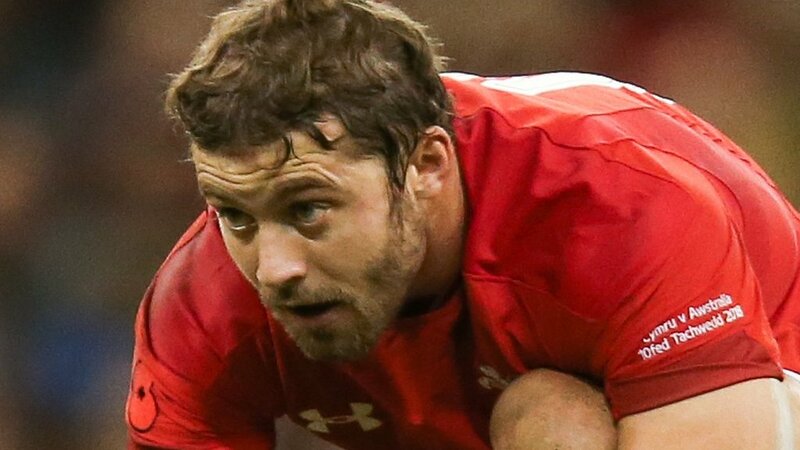 Wales full-back Leigh Halfpenny will see a specialist about concussion which has ruled him out for two months. Halfpenny has not played since 10 November when he suffered a late tackle from Australia centre Samu Kerevi. Flanker James Davies is also a Six Nations doubt with a foot injury. But there is some good news for Wales coach Warren Gatland with Liam Williams set to return to action on Friday for Saracens after being sidelined since 24 November with a hamstring problem. Halfpenny was named to face Cardiff Blues last Saturday but was pulled out after suffering headaches. “He is very frustrated,” said Scarlets coach Wayne Pivac. “You can see a leg injury, these things are easy to deal with, you can see a finish line. “You didn’t know as much about the head injuries that occur. It is frustrating for all concerned, more so for Leigh. Asked if there Halfpenny could be stood down for an extended period Pivac said: “That is for the specialist and our medical team to make that call. “We just won’t risk putting him out there until he is 100%. He came very, very close last week when he did two trainings in a row, did everything throughout the week and just pulled up at the end of his goal-kicking. Flanker Davies came off in the 34-5 defeat by Cardiff Blues with a recurrence of a foot injury. “It is something he took into the game and we have been managing,” said Pivac. “He will be out for a few weeks as a result of it to get that right. Pivac also confirmed Wales flanker Aaron Shingler is targeting in early March after suffering a serious knee injury in the Pro14 final defeat against Leinster in May 2018. Williams provides Gatland with some good news after not playing since Wales’ autumn win against South Africa. The British and Irish Lions Test full-back will be back for his club Saracens in the English Premiership at Sale Sharks on Friday, 4 January. Gatland also has injury doubts over Ospreys forwards Nicky Smith and Dan Lydiate. Wales’ Six Nations campaign kicks off against France in Paris on Friday, 1 February (20:00 GMT).